I marched on Saturday. Our D.C. home housed people from three states – family and friends, old and new. I am a mother, a wife, a daughter and a sister. I am a naturalized citizen, an Asian American, an artist, a Christian. My motherland is Korea, my childhood home is Portugal, and my physical, legal, political home – and most importantly – the home of my children is America. I marched for life. I am pro-choice because I am pro-life. Yes, I am horrified by abortions. As Hillary Clinton once said, I believe they should be safe, legal, and rare. But the idea of criminalization of abortion terrifies me. I think about the proven record in America and around the world that support of legalized abortion always brings the number of abortions down. I want policies that are not just pro-birth but pro-life. I want policies that are life giving to the orphan, the single mother, and the immigrant. 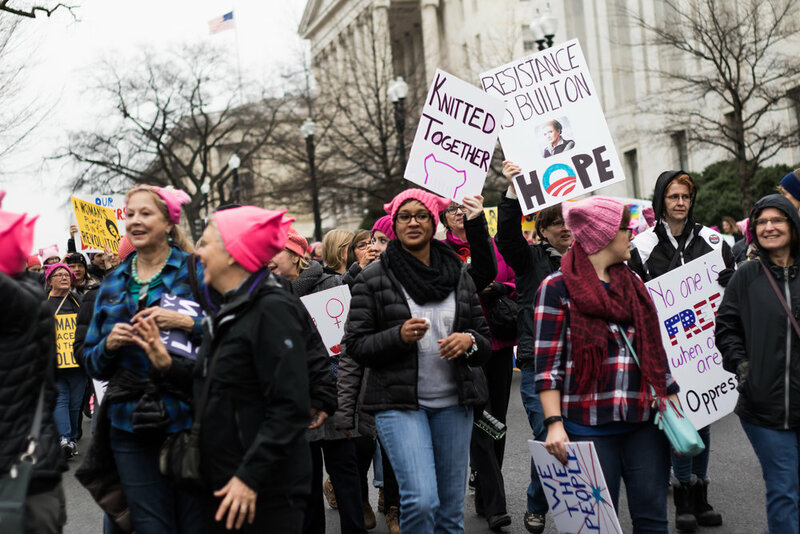 I was saddened when pro-life partners were uninvited from the Women’s March. As the pundits said, I think it was a missed opportunity. In an already divided America, there shouldn’t be obstacles to those who want to fight for human dignity and rights. Abortion is not theoretical to me. In the first trimester with my first baby, a doctor told me I should get an abortion. Several tests had concluded that my son had Edwards syndrome - a genetic disorder caused by an extra copy of chromosome 18. There is no treatment for Edwards, and most babies die before birth, and those who survive birth usually die within a week. I was in a country where abortion is illegal but extremely prevalent. I didn’t get the abortion. My son is now six, shows no signs of Edwards, and is the most amazing little boy I know. I will forever be grateful I didn’t choose to abort my son. The most powerful moment of the 2016 campaign for me was Michelle Obama’s Manchester, NH speech. I, like many other women around the country had watched that Access Hollywood video, and had a horrible week. I couldn’t put my finger on why it was so personal to me – why did I feel physically nauseated to see it or hear it? When Michelle Obama said that his words had “shaken me to my core in a way that I couldn’t have predicted,” I knew what had happened. Like she said so eloquently, we had all been taken back to our worst memories – we had been triggered to feel disrespected, assaulted, and terrified. Michelle Obama asked us then to not lose hope but to “show our children that this country is big enough to have a place for us all — men and women, folks of every background and walk of life — and that each of us is a precious part of this great American story, and we are always stronger together.” I thought we were going to do that – I thought people wouldn’t vote for Donald Trump. I was wrong. People marched for so many reasons. There were signs that said, “Too many things to put on one sign.” Others tried to put everything on there and were somewhat illegible. There was so much creativity and personality in all the signs. I would think that it was the same for those who voted from Donald Trump. Yes, the KKK endorsed him, but that doesn’t mean the majority who voted for Trump endorse the KKK. Yes, I voted for Hillary, but that doesn’t mean I could chant, “Free abortions, on demand!” Abortion is not Netflix – not to me. There is outrage and patronizing contempt on both sides. 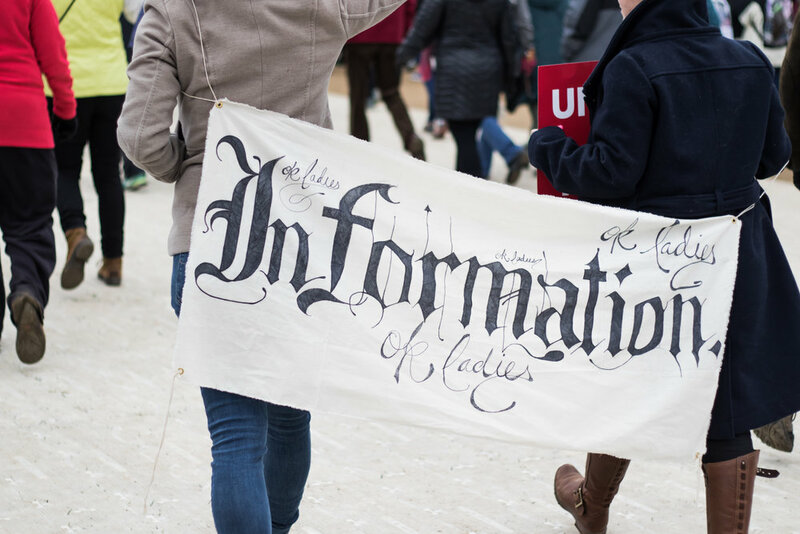 The Women’s March was a wonderful time of celebration and inclusion. It was also very cramped at times, and the feeling wasn’t always of love. If you are screaming “Love Trumps Hate” with vitriol, are you really fighting for love? If you call protestors vile and disgusting but say you’ll pray for them, is that Christ-like love? As both sides argue for love and acceptance, shouldn't we put aside our hate, distrust and anger and try to understand why the other person might have chosen something we cannot understand? Just from a practical standpoint, couldn’t we get more accomplished if we did that? As Dr. Martin Luther King Jr. said, "Darkness cannot drive out darkness; only light can do that. Hate cannot drive out hate; only love can do that." As for me and my family, we are going to show up, stand for what we believe in, abstain from messages we don’t agree with, and love our neighbor – no exceptions.